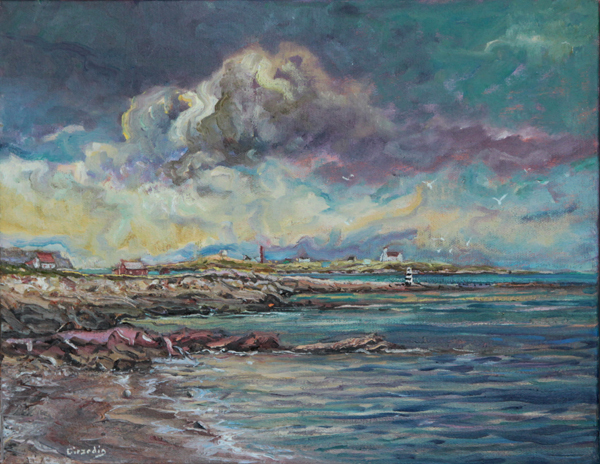 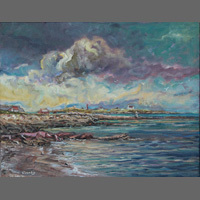 Born in 1956 in St. Pierre, one of the two French islands off Newfoundland's south coast, Jean-Claude Girardin began his working life with the Department of Public Works, then joined the local Cultural Centre, where he served as director from 1984-1990. 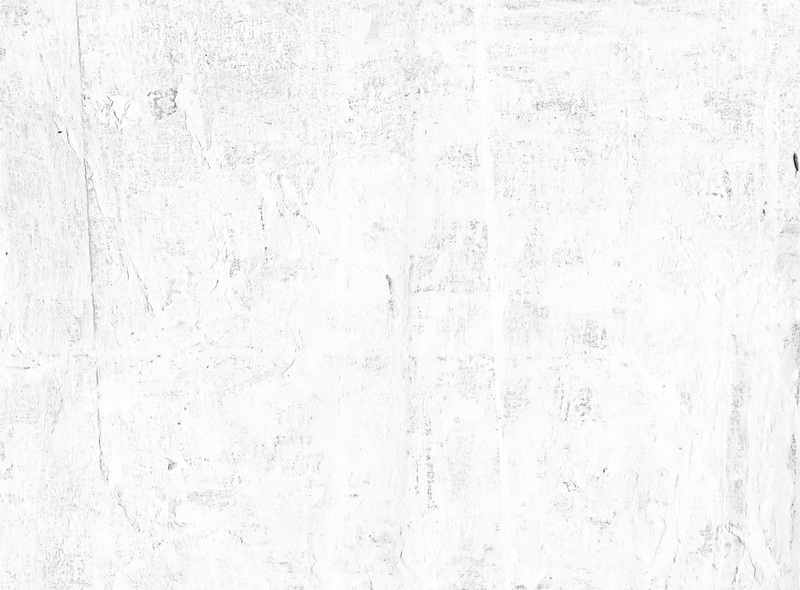 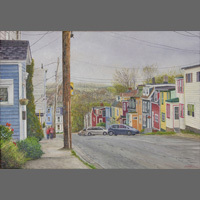 In 1992 he opened the first private art gallery in St. Pierre, the Galerie Ravenal. 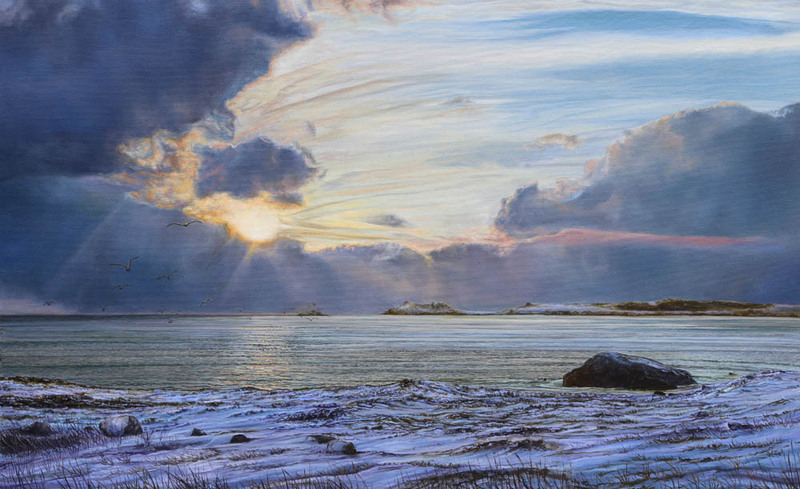 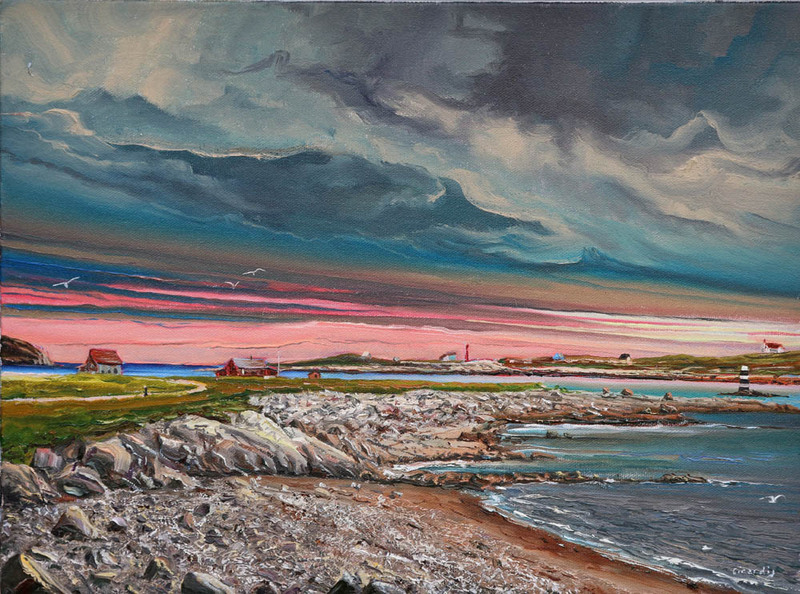 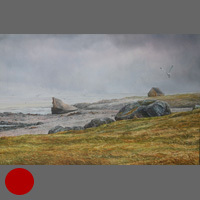 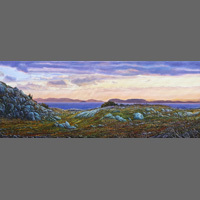 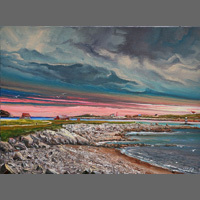 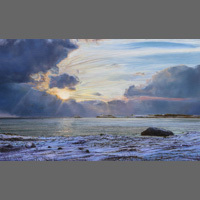 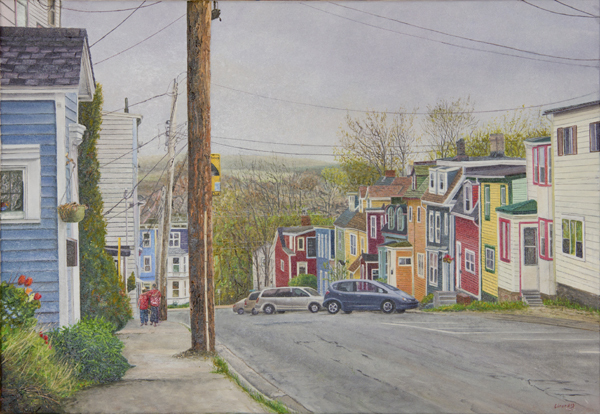 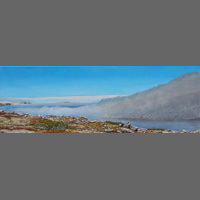 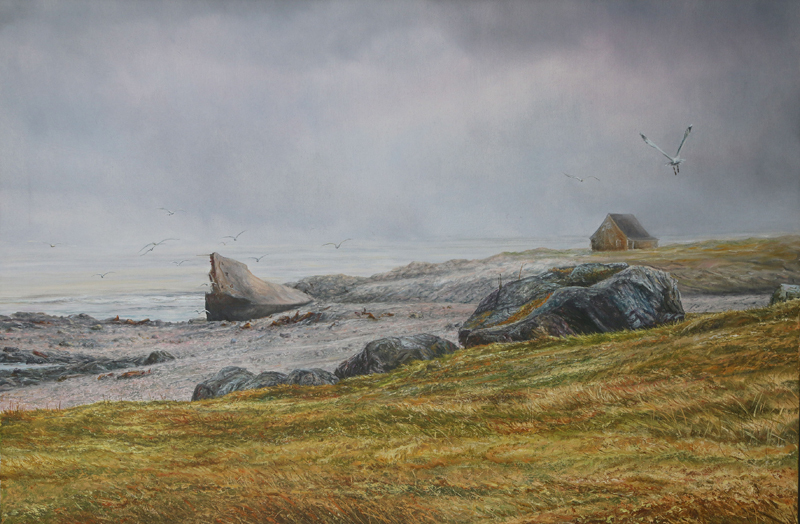 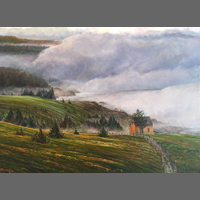 His work, composed mainly of highly detailed landscapes, has been shown in exhibitions in Newfoundland and Labrador, in New Brunswick, and in France. 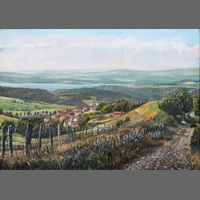 Since 1989 Girardin has designed nearly 20 stamps for the Territorial Collectivity of St. Pierre. 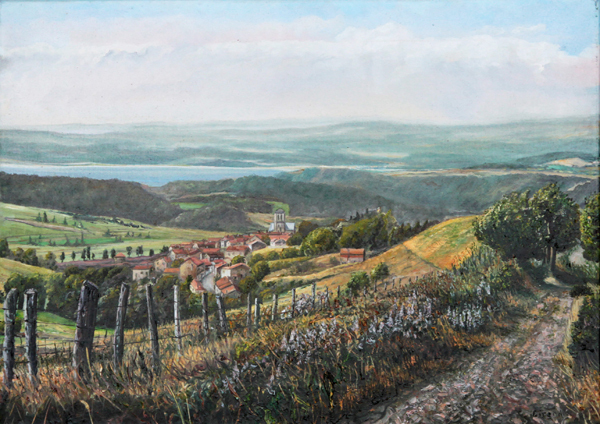 In 1995 he won a commission for a painting to be presented to French Prime Minister Alain Juppe on the occasion of his state visit to St. Pierre. 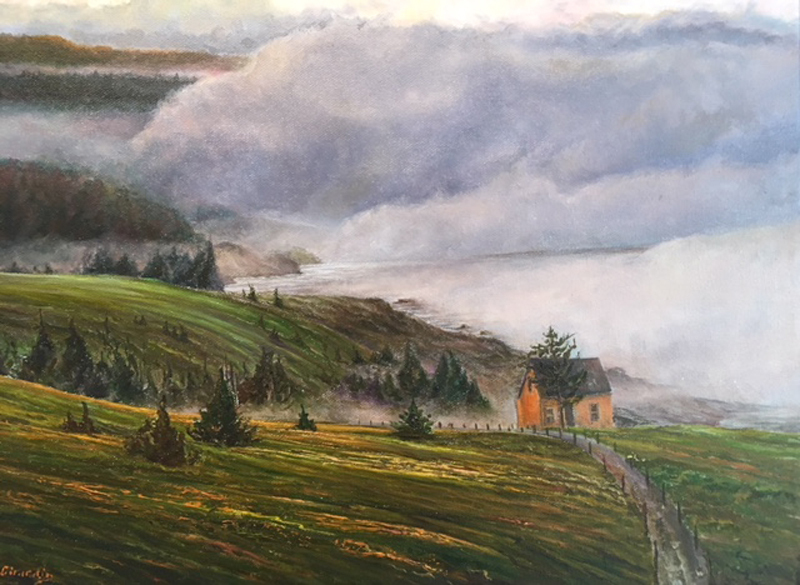 Soleil du Nord et Brouillard d'anse, a book focusing on the work of Girardin and his long-time friend artist Jean Claude Roy, was published in 1999 to coordinate with a joint exhibition of their works at the Cultural Centre in St. Pierre.